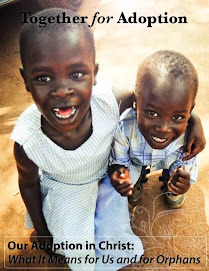 Rescued Remnant: Why Travel When You Can Live There? These are our friends from our seminary days. Back when we were foot loose and fancy free with only three kids per family. We swapped off on date nights in which we would tote around 6 kids and tell people that we had birthed 3 sets of twins. I've just started reading this book and I've enjoyed the way he takes us through the early days to learning to navigate in a new country to the comparisons made even while eating toast. Why Travel When You Can Live There? 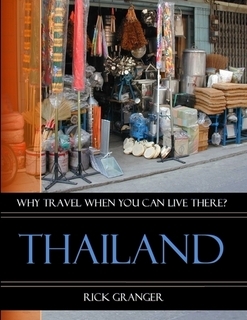 Thailand is a Travel/Adventure narrative about one author's first time living overseas. Making the move from North America to Southeast Asia is a big leap! Follow along on his journey into the international community, "...the faux pas, the goofs, the gaffs, and being the foreigner who sometimes got it all wrong." 1. Why did you decide to write "Why Travel When You Can Live There? Thailand"? I started blogging recently and loved writing! 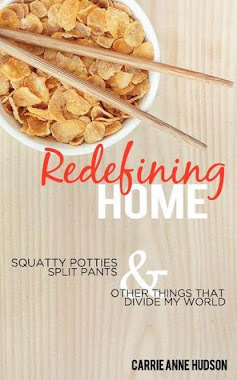 I got such positive feedback from readers that I decided to write about our experiences in Thailand, our first time living overseas, with an eye toward a series of books about the countries we’ve lived in. That’s why I’m already calling this my first book - the second is finished and the third is in the works! 2. Tell us about one of your first culture shock experiences. A "We're not in Kansas anymore" moment. How about the really beautiful womman in the women's clothing department that I thought was perfectly at home until he coughed and spoke to his friend with a man's voice. A SHIM!!! !